Martha messages Dr. Alderman to know if he will deliver Commencement in May. 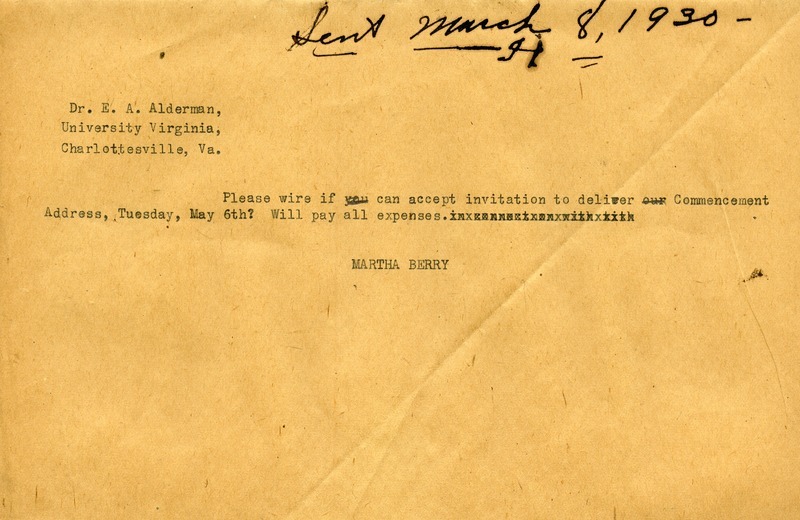 Miss Martha Berry, “Message to Dr. Alderman from Martha Berry.” Martha Berry Digital Archive. Eds. Schlitz, Stephanie A., Aaron Jackson, et al. Mount Berry: Berry College, 2013. accessed April 20, 2019, https://mbda.berry.edu/items/show/11619.